9th November and I had an early start (for me that is) heading for the Norfolk coast. 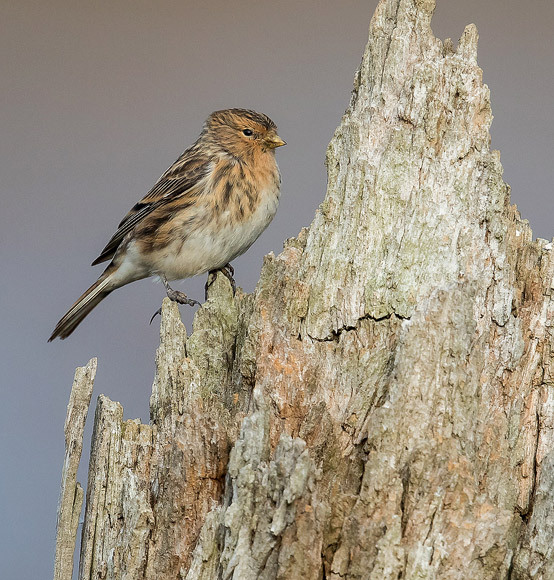 As usual, my first call was at Thornham harbour where Twite had been reported. 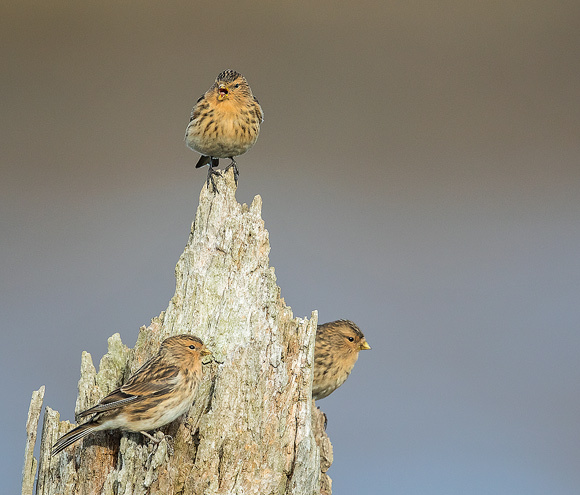 Twite are a small finch and a winter visitor to this part of the country, breeding in the upland areas of northern England and Scotland and there has been a small flock at Thornham harbour every winter for the past few years. They can be very nervous, especially when there are a lot a people around and Thornham has become very popular with walkers, either with or without dogs. Anyway, there was one person with a camera already there and he said that the flock had been landing on the upturned old posts in the harbour - just hang around - so I did and he was correct. Mid-morning, I moved on the Holkham beach where Shorelarks had been reported. 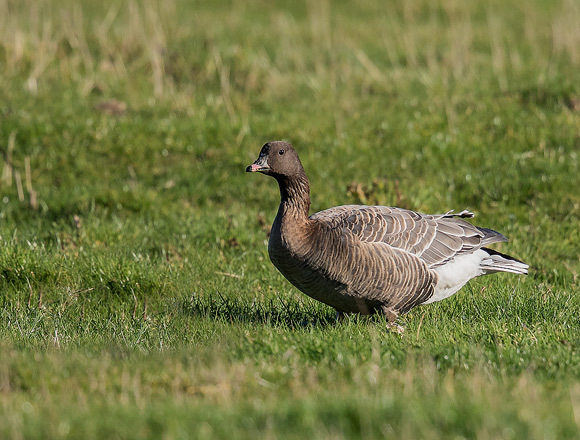 This species is also a winter visitor to north Norfolk and an area of the beach had been roped off to protect them from the many birders and photographers - except they had been spooked by a Red Kite and flew off before I got there. 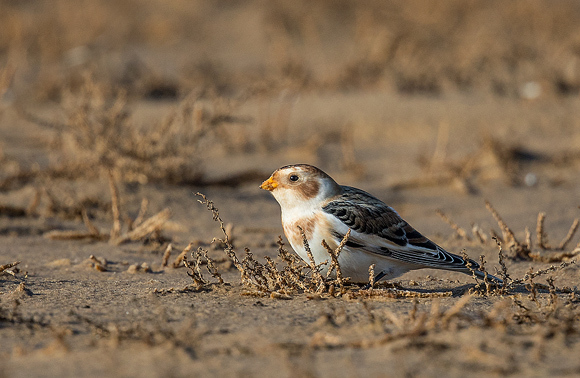 As a consolation prize, there was a small flock of Snow Buntings that were not too distant. I have photogrpahed them many times before, especially during my summer trip to Iceland so I did not spend too long there which was a pity as the rest of the afternoon proved totally fruitless. I returned to north Norfolk the following Tuesday but there was no sign of the Twite at Thornham. 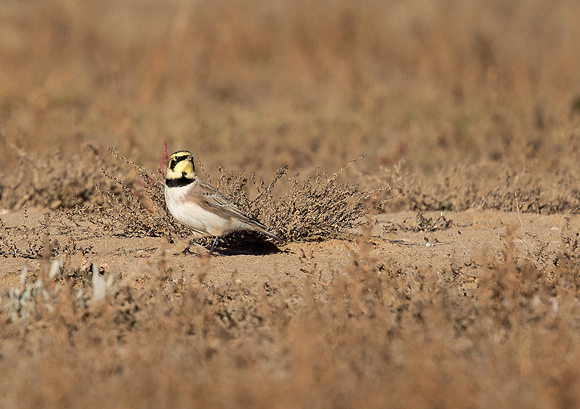 However, the Shorelarks had returned to Holkham although were distant in the middle of the roped off area. The flock of Snow Buntings was nowhere to be seen. 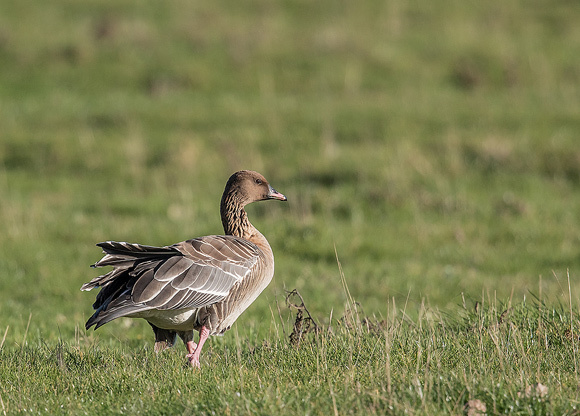 Returning to the car, I noticed another winter visitor, Pink-footed Geese. There were two feeding close to the road which is unusual as they are normally very cautious and keep their distance..
No sign of the Twite again at Thornham on the way home but I waited there as the sun was setting with a few photogenic clouds on the horizon. Approching dusk, it is normal for thousands of Pink-footed Geese to fly over to roost on the mud flats in The Wash and I had visions of photographing them against the setting sun. Well, this is unpredictable wildlife and the geese did not show up!! !